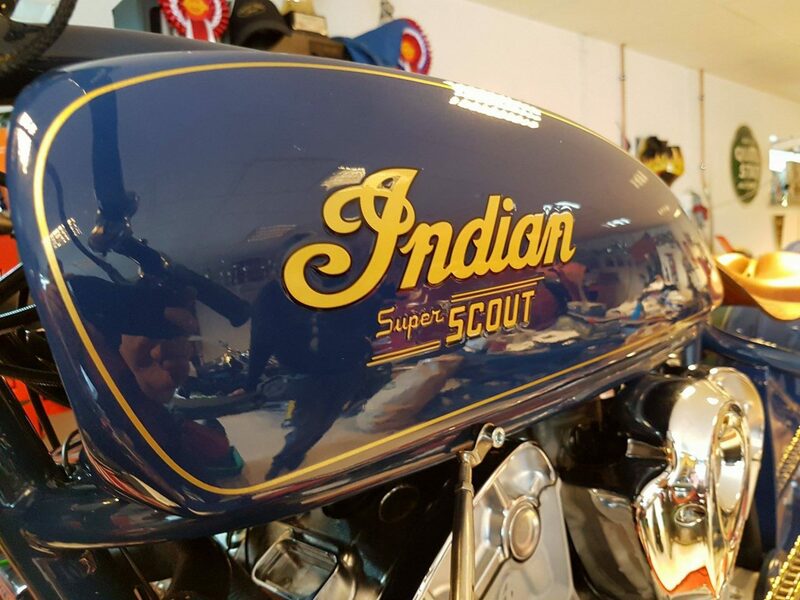 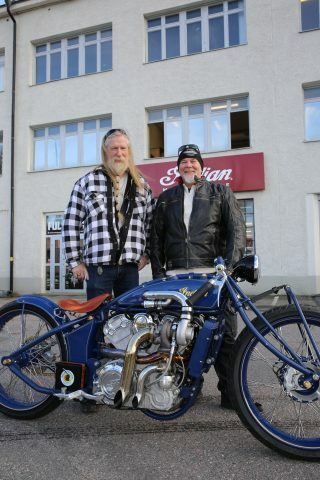 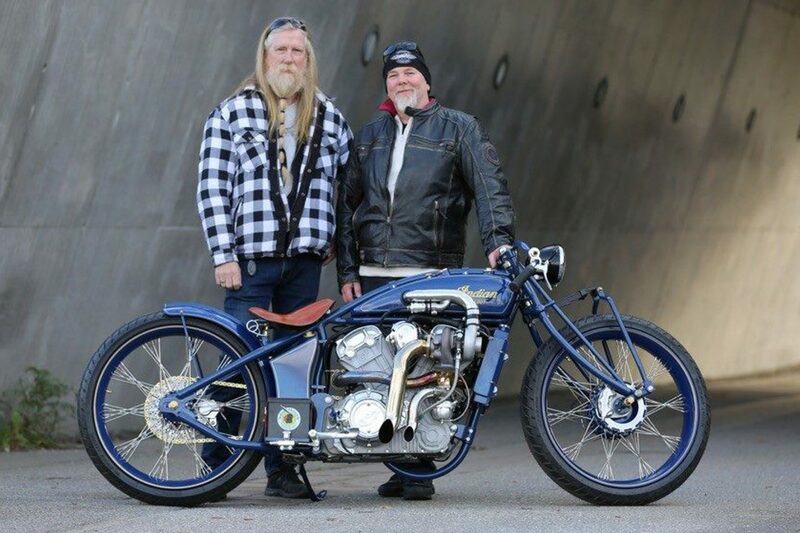 Anders Lundgren and Lasse Sundberg have built this incredible Super Scout and the pair say it’s a tribute to the Swedish co-founder of Indian, Oscar Hedström. 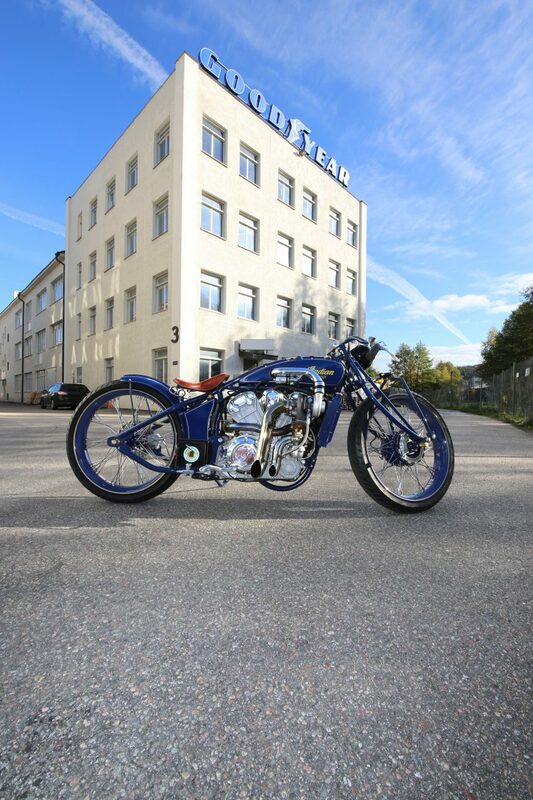 Featuring a water-cooled Garret 25 turbo, the Super Scout was built during 2017 in their Stockholm workshop and now makes 150 to 200hp at the rear wheel depending on the boost pressure. The engine, fuel pump, headlamp and shifter pedal are from a modern day Scout, but the frame is a one-off built from three sections. 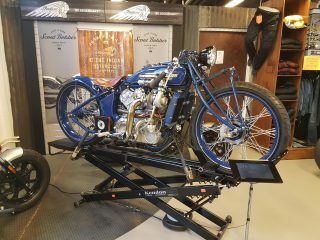 Lasse Sundberg (from Roth Engineering) built the frame up in-house and says it was the most difficult part of the build, surprisingly even more tricky than the fitting the turbo. 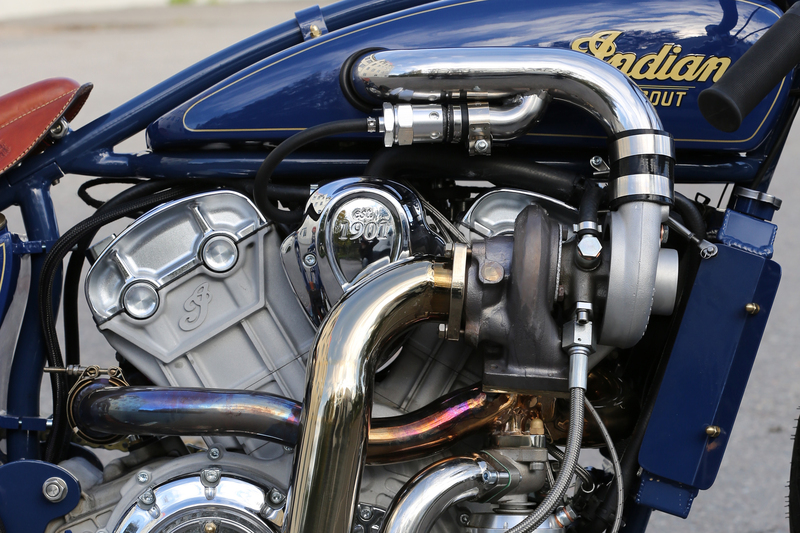 The Garret 25 turbo itself has an external wastegate (wait until you hear it) and boost control. 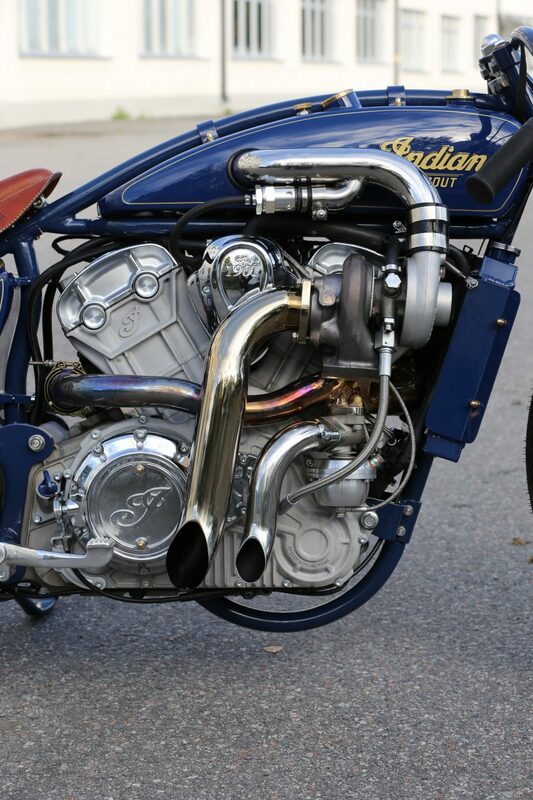 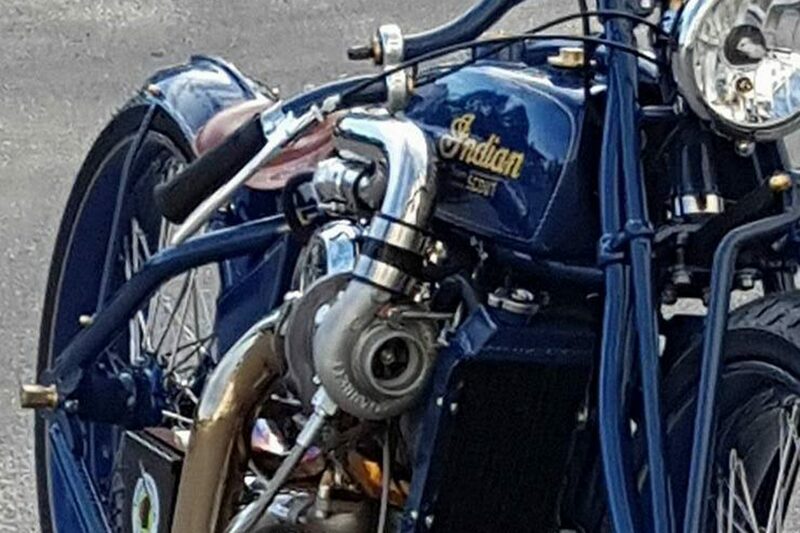 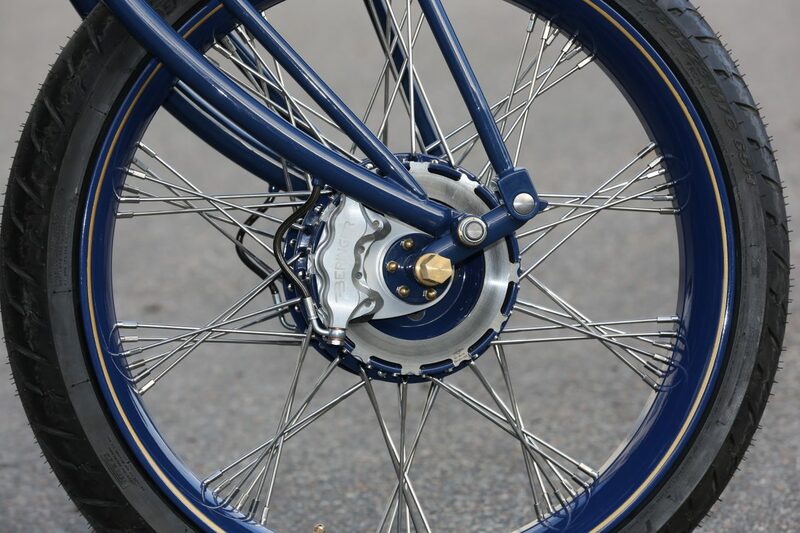 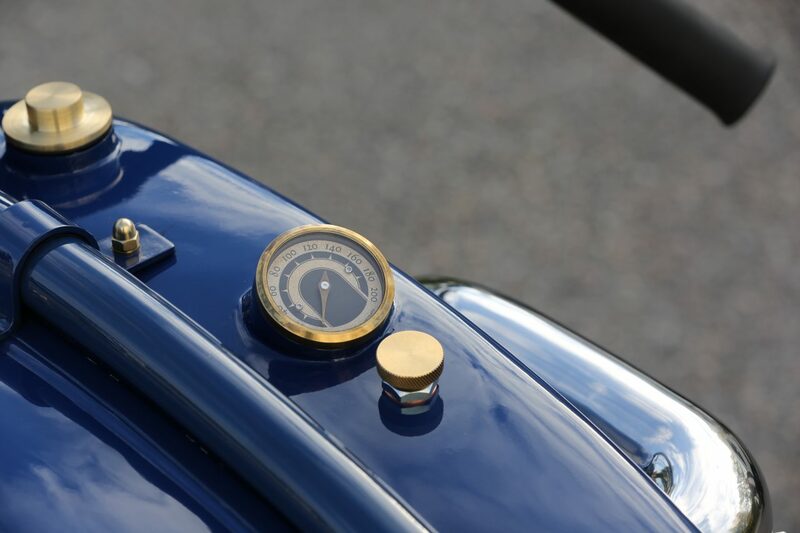 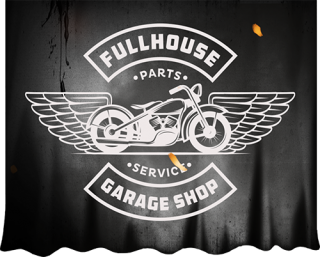 The headpipes and downpipes to the turbo and the wastegate are all in stainless steel and fitted as tight as possible to the frame so to not interfere with the slim lines of the bike. The Super Scout has some seriously impressive electrics too. 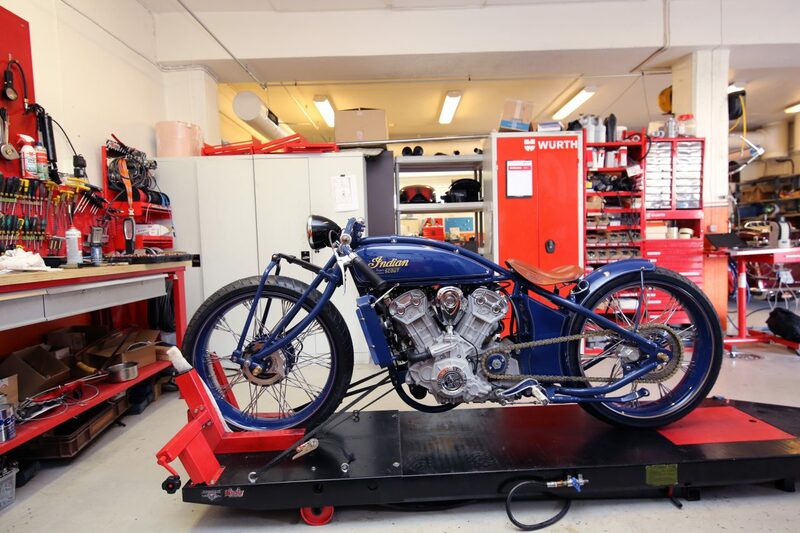 Anders fitted a fully programmable ECU and there is a key fob system with Bluetooth for monitoring engine data and tuning the ECU via an iPad. 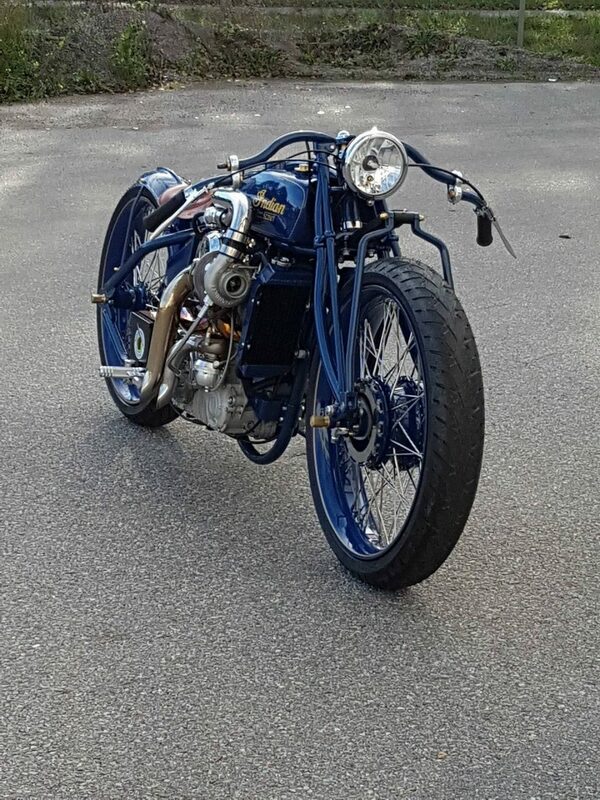 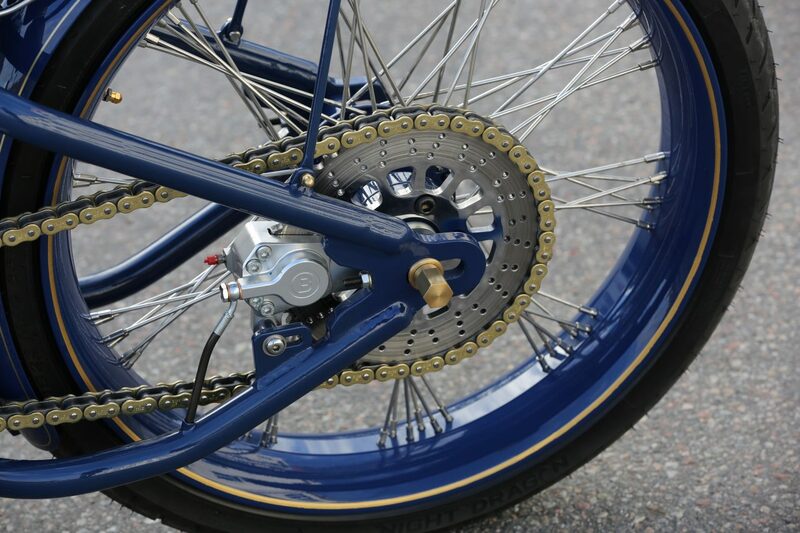 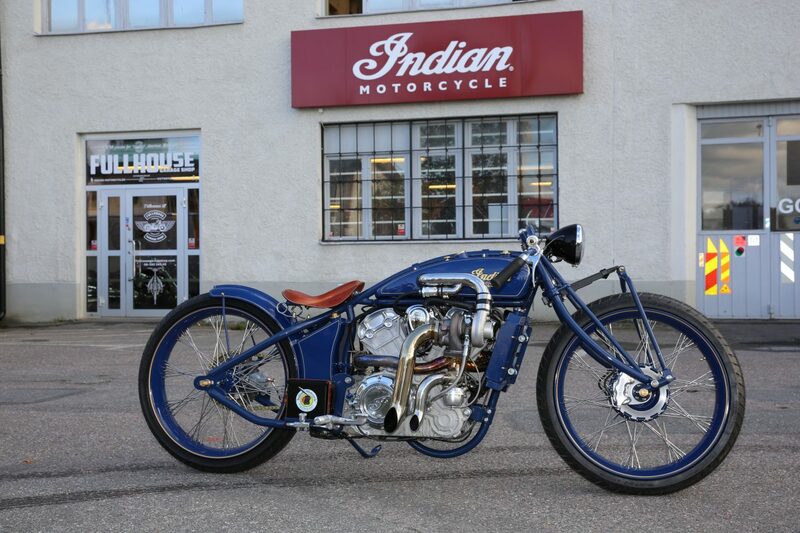 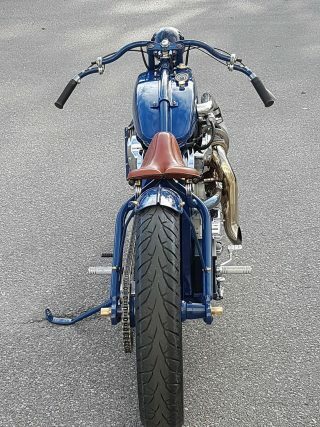 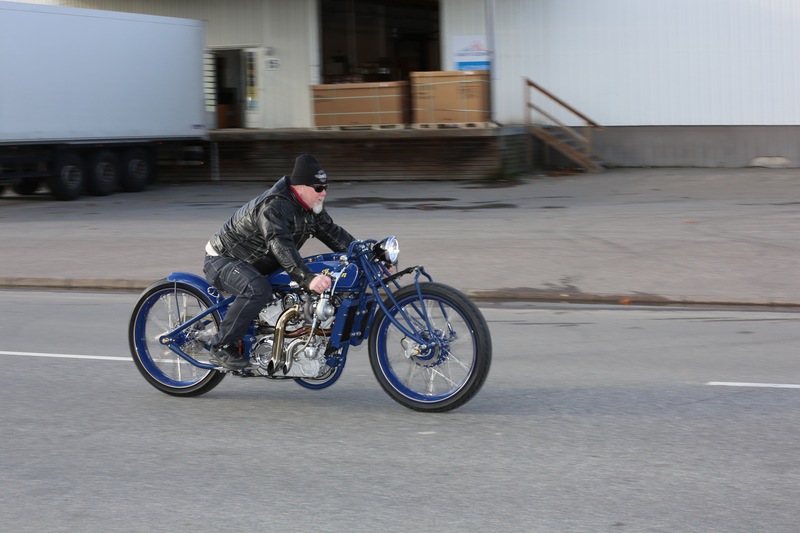 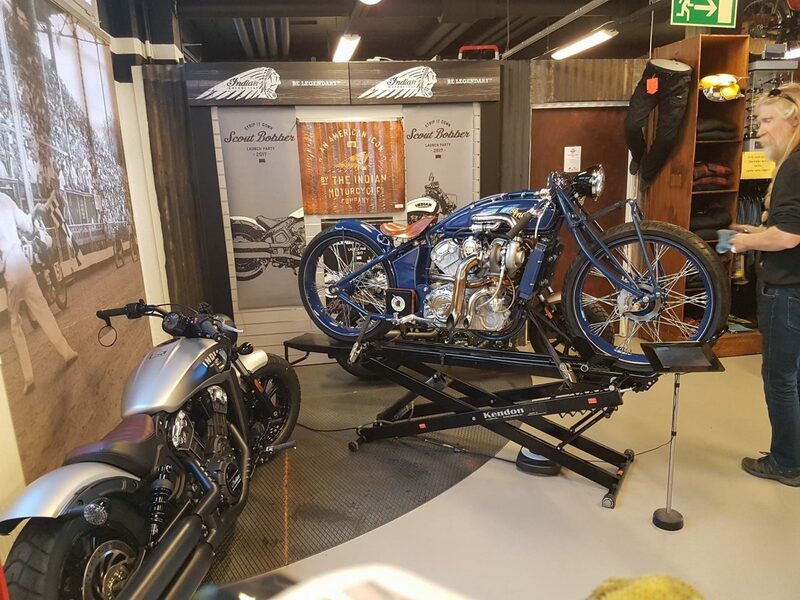 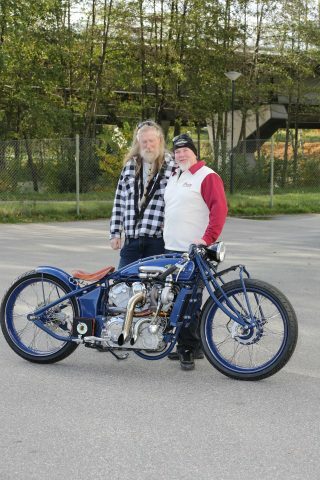 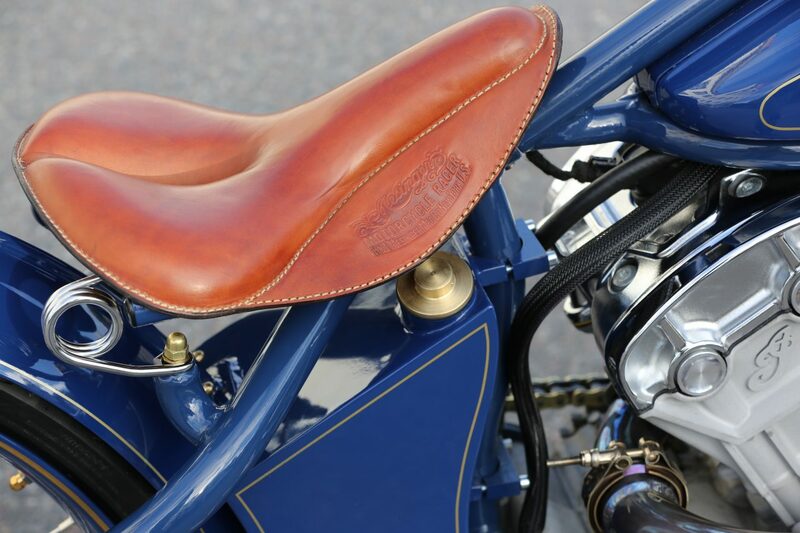 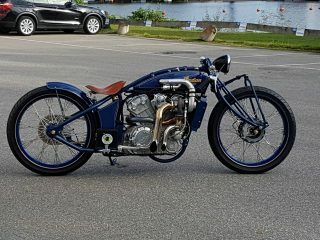 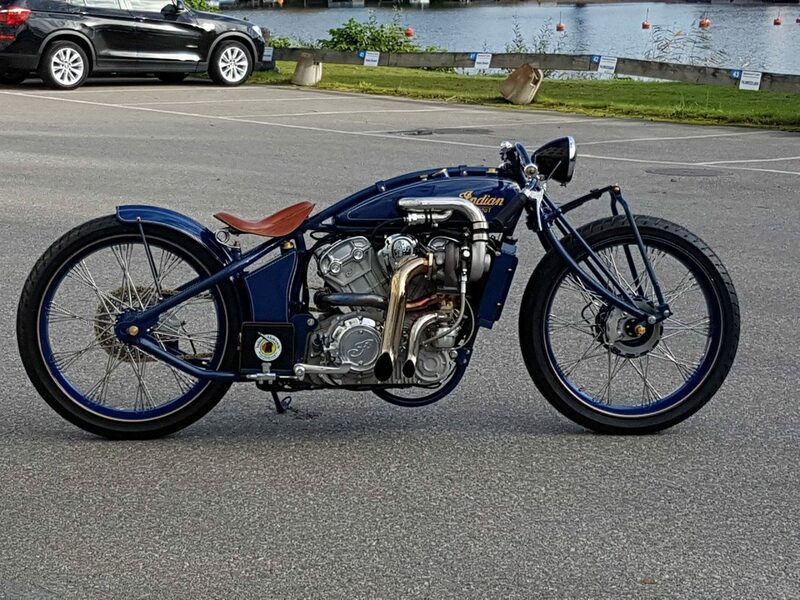 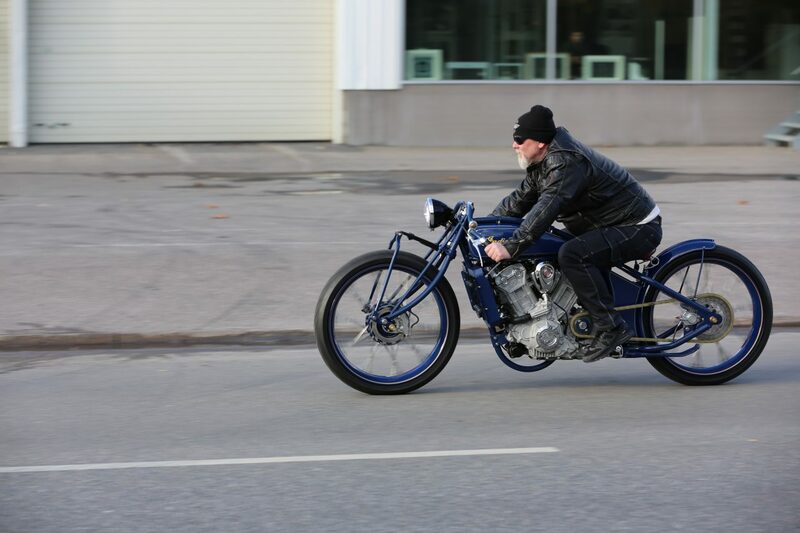 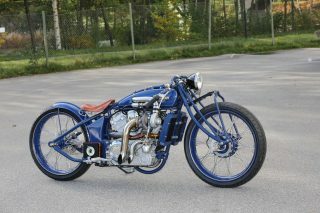 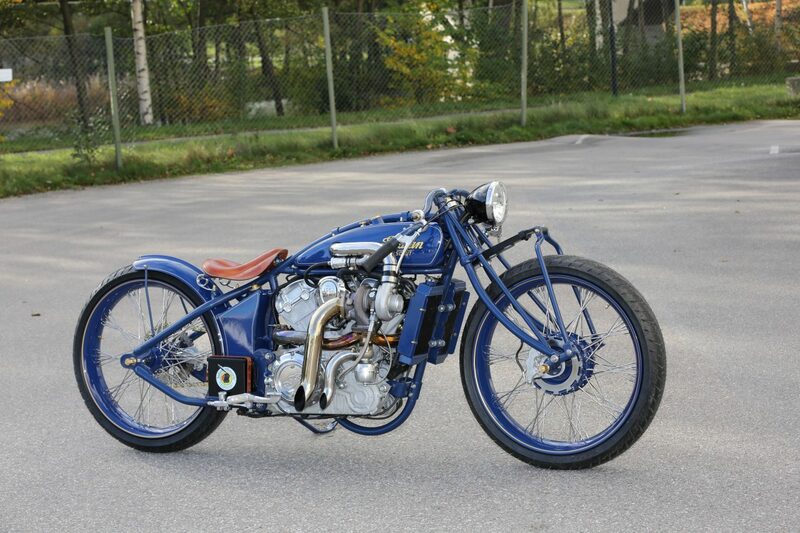 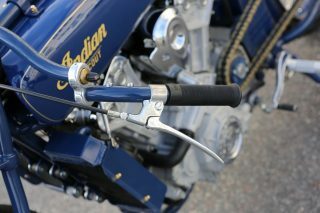 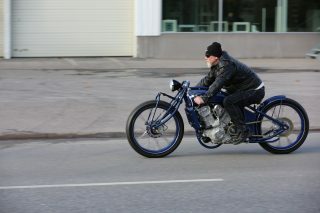 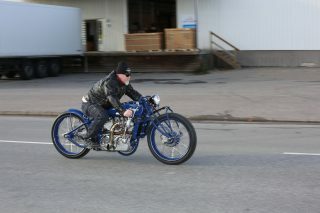 The amazing paint job is by Pobben’s Colour & Custom in Hagfors and the colour is Springfield blue. The changes on this bike may lead to a street legal status reassessment depending on the national regulations in force.